A Drone Flight Simulator or a drone game is a great choice when you’re considering investing hundreds or even thousands of dollars in a new pro camera drone or even a beginner drone. If you’re still deciding which drone to buy and want to keep costs low, check out these top drones under 200. 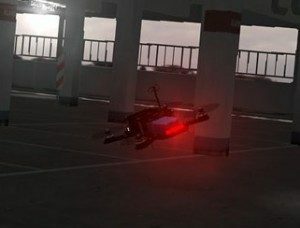 Multirotor drones can be very expensive and it’s smart to get some practice using a much less expensive method, a UAV simulator, before unpacking your new drone. There are various options out there including a drone flight simulator for PC and Mac, as well as FPV flight simulators. I’m going to be going over each of the different simulation packages and trying to give you the best overall analysis of each so that you can decide which one is for you. And if you’re looking for something a little more fun and a little less serious, we’ve also included our top three drone games for sale. A lot of people who buy simulators are doing so because they want to become a professional drone pilot. But no computer software can ever take the place of a real FAA certification, especially for those interested in starting a drone business. That’s why we recommend you use Drone Pilot Ground School to learn to fly and get your 107 license to fly from the FAA. Drone Pilot Ground School is the best course offered and you can get a special limited time deal because you’re a Dronethusiat reader. Click here to get your discount. 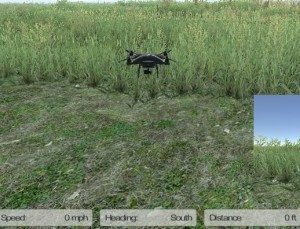 This section is specifically about quadcopter simulators – training programs that involve using a real drone controller connected to a computer or mobile device. Quadcopter simulators can’t necessarily take the place of hands-on training, but they’re a great way to practice indoors when the weather or region’s not suitable for flying. 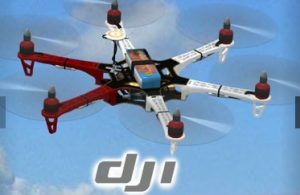 Some of the links on this page are affiliate links that will help support Dronethusiast if you end up making any purchases through them. Please consider supporting us through these links if you like our writing! Click the button above to get 10% off as a Dronethusiast Reader, the discount will show up in the shopping cart! 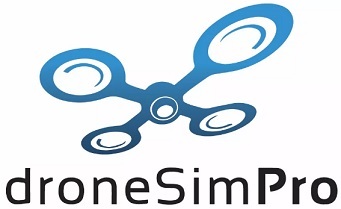 Dronesimpro has just announced that they are now offering the availability of customized solutions to create specific scenarios and drones for their drone flight simulator. The ability to create an environment specific to a pilot’s needs could be a game changer it allows great customization for training drone pilots in both their environment and the type of drone used for the training. DroneSim Pro is a new drone flight simulator that can be used on both a PC or Mac. It also uses a custom built flight engine that replicates the real world physics of drone flight. This allows us to put a drone anywhere in the world and have it fly accurately. This includes any altitude. The current version, which is the initial launch version, includes the Phantom 2 and 3 flight areas. The next two releases include a lot of major additions including new drones and flight areas, as well as the support of remote controllers. These will be coming out over the next 4 months. A demo can be downloaded from DroneSimPro.com. The software supports most USB controllers and has been tested to work with Xbox and Playstation controllers. New support for various drone specific controllers will be rolling out in the next few months. This simulation software looks like a great up and comer in the market and is priced reasonably at $29.99. That’s why we’re listing it at number 2, in a market that’s filled with drone sims in the >$100.00 range, this price range is a great middle ground where you can try it out without going broke! 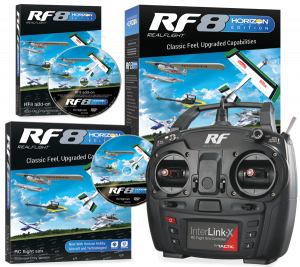 RealFlight is the most detailed and powerful quadcopter simulator on the market, and its latest version – “RF8” – makes this high-quality product better than ever. It’s one of the best programs for getting practical and professional drone flight practice. However, this level of quality doesn’t come cheap. The Realflight drone sim sells for around $190. 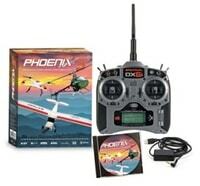 For that price you get the latest version of the software and an Interlink-X flight controller. This is great for beginners because it meants that no batteries or complicated setup process is needed to get the controller working with the software. Each software function is operated by the controller so there’s no keyboard needed, which means more simplicity. And this software allows you to do everything you could possibly want to in a quad simulator. 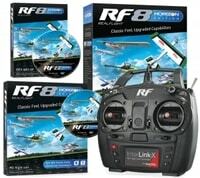 The biggest problem with the RealFlight RF8 software is that it is exclusive to Windows 7, 8, or 10. Any of our readers who prefer Mac or Linux systems will have to consider a different option. However, for anyone who wants to use a simulator to practice serious drone flight techniques, this is one of our top recommendations for a drone flight simulator for PC. It’s well worth the price of admission, steep though that price may be. Phoenix R/C is a big name in the flight simulator market and many drone pilots we know have gotten their start with this software. It’s also found at the pricier end of things, with the latest version costing about $139 USD. However, the price is well worth it considering you also get a fully-functional Spektrum DX6i flight controller. It lacks some of the drone specific features and challenges of the RealFlight Drone Simulator, and it doesn’t have as much ongoing support from the company, but you still get everything you need to practice with a real flight controller. It can also help you learn more about other types of remote control aircraft like planes or helicopters in addition to quadcopters. If you’re looking for a great pro-quality drone flight simulator but don’t want to spend the nearly 200 dollars necessary to afford the RealFlight RF8, this is a great backup choice. If you’re here for fpv drone racing check out our best fpv drone goggles systems post here, a guide to the best components on the market for fpv drone setups. • PC and Mac Verisions Available. This software is fun and inexpensive. However it isn’t useful for photo taking or video practice. It has one very specific quadcopter simulator function and that is to help you learn to fly your drone from the first person view. It goes well with fpv goggles and is easy to purchase from Steam, easy to install and easy to setup and use with your current FPV system. 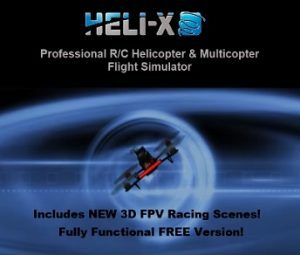 Heli-X is a great R/C helicopter flight sim that also has the ability to allow you to fly drone flight simulations. They use the great real-time physics based on modern mathematical science. The software is available for Mac, Linux and Windows so it is a great all around piece of flight simulation software. There are training scenarios within the software that make it fun to use for learning or entertainment. • Availability for Windows, Mac-OS X and Linux. • Training scenarios for rescue situations. • Other scenarios including cage, lasso, autorotation, reaction training, hover training, etc. Heli-X is a solid, educational drone flight simulator that won’t break the bank. However, before you can use Heli-X software you will need to use USB controllers that you can find there. You can boot HELI-X without a controller, but cannot control the models inside the software. 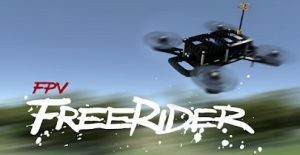 The FPV Freerider is a new and popular simulation app that can help you practice fpv and line of sight drone flight. It is limited by its app status, which means that it doesn’t have as powerful of a physics simulator engine as some of the other software on this list. It also doesn’t come with a controller and you will need to find a USB controller to use with it. You can find USB controllers that work with this software you just have to make sure it is a USB compatible controller. • An extremely low cost of $5.00. • Fun for FPV racing practice. • The ability to pair with almost any USB remote, just pick one up and connect it to the app. Drawbacks are that the software isn’t as real and you cannot practice your camera work. If you’re looking for something to help you with your aerial photography business or are seriously practicing to use a phantom or some other expensive new drone, this may not be for you. Quadcopter Simulators are great for testing out your skills without endangering your vehicle. But what if you’re just looking for something fun to pass the time away? There are lots of great new drone games available for sale in 2019, and here’s three of our very favorites. These drone games are concerned with fun over realism. 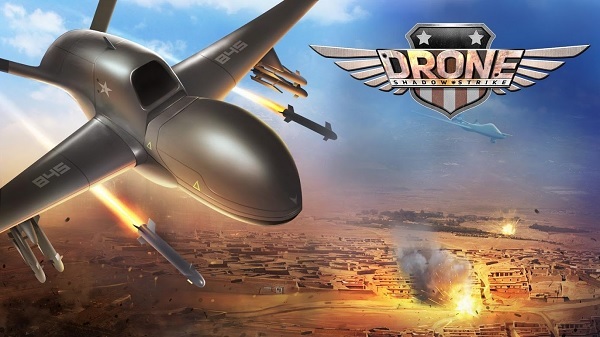 Drone Shadow Strike (available for Android here and for iOS on the App Store) lets you choose beetween eight different military UAVs to blow up your enemies with missiles, rockets, cannons and even nuclear bombs. The graphics run smoothly even on older phones and the game itself is completely free, so if you’re looking for a fun phone drone game you should consider giving this one a look! 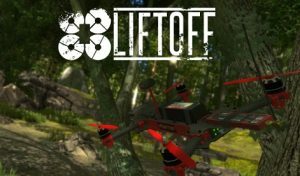 Liftoff is a drone game that can be purchased from the “Steam” online store. 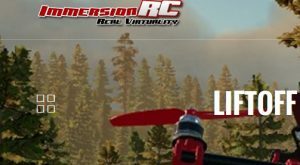 It was created by ImmersionRC, makers of some of the best racing quadcopters around, who hope that translating the experience of FPV racing to a videogame will help introduce more people to the sport. If you’re looking for something with a more realistic bent than most drone games and for what critics have called “unadulterated fun,” we highly recommend Liftoff! 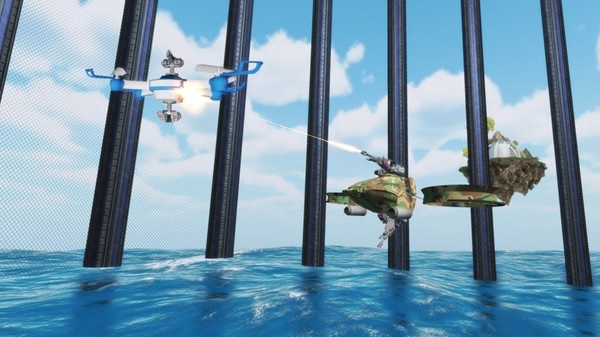 Arena is a drone game for Windows that can be purchased from the “Steam” online store. It’s a bit like a multiplayer shooter, but with drones – complete with classic FPS game modes like Capture the Flag, Team Deathmatch, and more. You can customize your in-game drone in great detail and even fly in virtual reality, so this drone game is ideal if you’re looking for some upscale flying combat on PC. What is a drone simulator? A drone flight simulator is a computer program that lets you mimic the action of flying a real drone without having to get any physical hardware involved. They are a good way to get better at flying drones without risking the possibility of breaking an expensive aircraft. What is a drone game? A drone game is a computer program that makes a game out of flying drones in some way. Unlike a drone simulator, drone games are not concerned with being a realistic approximation of flying a real drone – they’re just for fun! Are there drone simulators for Windows? Drone simulators and drone games are available on a number of devices, and yes – Windows PCs are often among them. Our #1 drone simulator choice, the DroneSim Pro Flight, is a particularly good option if you’re looking for a drone simulator for Windows. What are the benefits of a drone flight simulator? 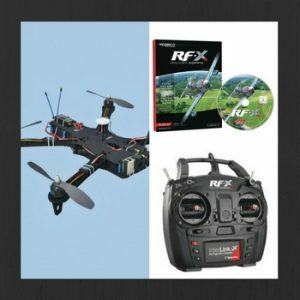 • Refine Your quadcopter Flying Skills. • Learn To Capture Perfect Still Images. • Perfect Your Drone Video Taking Skills. • Practice Aerial Quadcopter Maneuvers. • FPV Flight Training, Learn To Race in First Person View! • Pickup New Camera Gimbal Control Tactics. • Learn Without Risking Loss or Damage to Your Expensive Drone! Learning all of these skills without spending money for repairs and replacement parts on your hobby drone is priceless. What types of drone flight simulator are there? In order to decide which quad simulator is best for your purposes you should decide exactly what it is you’re trying to get out of the software. Ask yourself a few questions, and make sure whichever quadcopter simulator you decide to purchase covers all the topics you need it to. • Will you use the simulator on PC or Mac? • Are you practicing for FPV drone flight or Line of Sight, or both? • Are you trying to practice drone camera skills? • Do you need to practice your UAV video taking ability? • Do you want to practice RC helicopters and fixed wing aircraft as well? 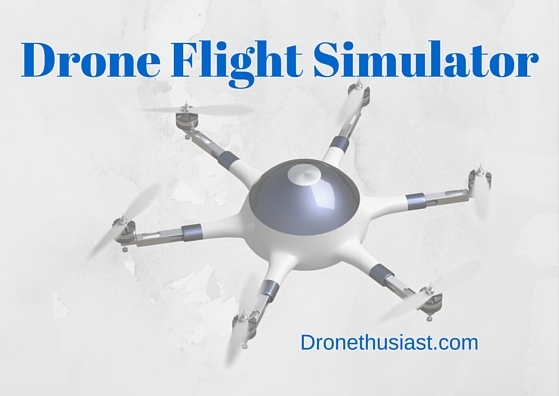 • Are you just looking for a drone flight simulator for entertainment? • Is this for commercial or recreational use? If you have a well defined reason for purchasing drone flight simulator software it will make it quite simple to pick out the best product on the market. 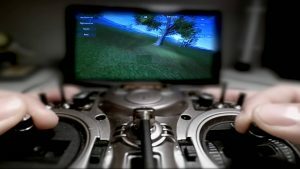 Are Quadcopter Flight Simulators Useful? The best drone flight simulator software can help you practice aerial photography, fpv racing, video taking, and allows you to practice on many different models. Realflight flight simulator listed at the #1 position allows you to do all these things and more. If you’re willing to shell out the $109.99 that it takes to purchase it along with it’s dedicated controller. There are other options available for quadcopter simulators but you’re going to play a balancing act between what functions you’re looking for and what price you want to pay. For those of you really looking for practice I suggest the Realflight software. This is best for those working on their flight skills for larger drones. It can be especially useful if you live somewhere in a climate where it’s not feasible to fly your drone over the winter, you can spend some time with the simulator to ease the withdrawal symptoms you’re feeling! I know that’s what I use it for living in Nebraska! Drone flight simulators when used properly are a great way to work on your muscle memory and hand eye coordination. They are especially great for beginners, but can be useful for intermediate flyers, especially those looking to practice their video and photography skills. Flying drones is a fantastic way to build a business, or have a great time. Don’t limit yourself to only flying when the weather’s good. Fly all the time with a great drone flight simulator or drone game from the lists above! Do you use a drone flight simulator? Do you play drone games? Let us know in the comments what you think of this new software for sale and if you have a favorite pick that we neglected to mention. Thanks for all the great blog posts. I’m trying to get into FPV racing, and your articles have been very helpful. A quick question…I’m looking to get LiftOff to start learning how to fly. One area I can’t find any detail on, is a recommendation for a controller that will work well with Mac, and be as close to real world as possible (without breaking the bank). I know an xbox controller can be used, but I hear it’s not helpful for emulating real flight experience. Any reco’s? The alternative is that I dive in head first and get a proper fpv transmitter (like the Taranis…which a lot of people seem to recommend) that I’ll be able to use with whatever fpv racing drone I eventually evolve to. I’ll be purchasing the Hubsan x4 to practice regardless. Liftoff is a great choice. If you’re planning on getting a transmitter sometime in the future anyway I would just go ahead with the Taranis because having it will defray your future costs anyway. Thanks for the quick reply, much appreciated. If I were to go the cheap route…do you know of any decent, compatible with mac transmitters? Just so I’m clear what you’re looking for, you want a remote control that is compatible with mac so you can use it to practice with Liftoff, also you want it to be able to pair with whatever fpv drone you buy or build in the future? Sorry, intention is a controller (cheap, but realistic to actual flight) that is compatible with Mac for LiftOff use ONLY. Hoping to find something cheap to get started. If that isn’t possible, then I’ll just get a transmitter that does both (more expensive option). Ok, I gotcha now. You can use any controller with usb connections. 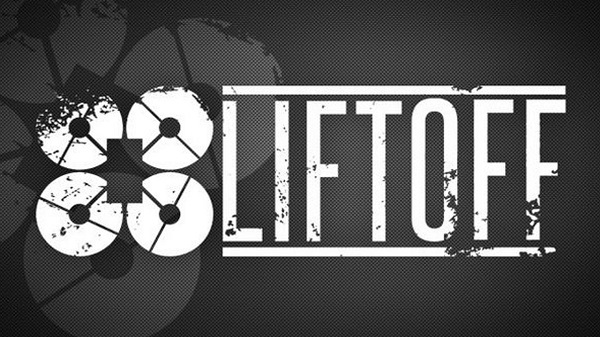 Your best bet would be to check with the Liftoff website or contact them there for what they recommend. I’m not sure that you need to worry about mac compatibility with the controller, the controller will plugin with USB and connect directly to the Liftoff software, so basically any controller that is compatible with liftoff should work for your simulator I think. I’m using a FlySky i6s which has an integral USB connection. While I agree with the phrase buy cheap buy twice, I figure to $60-70 I have a controller and liftoff, and if I can fly well I’ll know if I want to invest further. Good Review! Total newbe to drone flying. Based on your review bought the RealFlight. Just getting into it,, but it’s just the simulator I have been looking for. To quote a wise sage on the net, “Great way to get through the first 100 crashes!” Thanks for the review. I just bought a DJI phantom 3 standard drone to kind of blend from RC airplanes to drones.. I have flown airplanes for roughly 8 years off and on and YES burned in some. I also bought a Great Planes Real flight drone simulator and am curious which of the drones in the simulator MOST closely resembles the characters of the Phantom 3? If you could email me back with a response, thank you for your time. Based on your review and the fact that I use a Mac, I first attempted to use droneSim Pro (demo). Their website says that a PS3 controller has been tested as compatible but that a PS 4 controller should work. Since I couldn’t find a PS 3 controller (Amazon is ripe with counterfeits and who knows what I would get on eBay), I sprung for a PS 4 controller at a local retailer. I could get the PS 4 controller to work with several other simulators (free demos from the App store), but not droneSim Pro. I wrote to their support twice, but never heard back. In the meantime I did more research and found that even though RealFlight Drone won’t run in emulation software on a Mac, it will run in Bootcamp. Since I was in the process of rebuilding my system, I configured Windows into Bootcamp (and can run the installation in Parallels when I need to). I confirmed with RealFlight that it will run in Bootcamp, who responded to my support request within an hour. Although I have yet to test it yet, I’m glad that I went this route since the cost of a PS 4 controller + droneSim Pro would have been not that far off from buying RealFlight, which includes a controller that gives me a more realistic experience. Add to that the options on droneSim Pro looked a little thin, their website looks a little v1.0 and apparently they lack the will to answer any support requests. Guess they’re taking a page out of the DJI playbook in that regard. Hi I just ran across website I sure appreciate the fantastic web page with a lot of info.. But could you please tell me where I can get a dirt cheap transmitter that works with simulators? I am not sure if I would be good, like or get motion sickness from racing drone. Can the Interlink Elite Controller that comes with RealFlight Drone Flight Simulator be used to fly a real drone or is it just for the simulation on PC? I have the Interlink Elite that came with RealFlight G4. (It seems to be the same as pictured in 7.5) It’s only a USB gamepad/joystick. No transmitting hardware is included.